Enhance your artwork and memory crafting with the elegance of professional embossing. 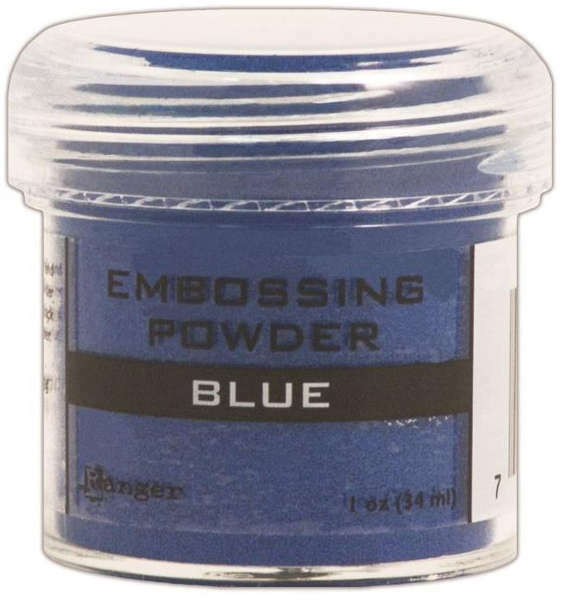 Ranger Embossing Powder is the perfect solution when you want your project to raise above the rest. It is great to use for layering; rubber stamping and general crafts. Instructions: Use a well-inked stamp to print the design. Generously sprinkle powder on image before ink dries. Tap off excess powder and return to jar. Hold design under Heat It Craft Tool until powder melts.